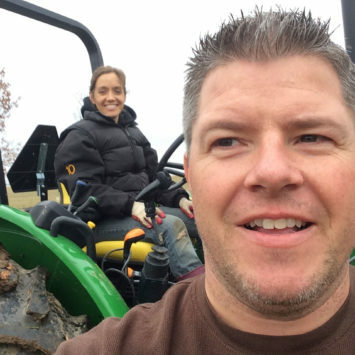 Last fall we presented five small-farm owners a tractor to use for 10 weeks. Each of them were loaned a John Deere 3E Compact Utility Tractor or 5E Series Utility Tractor. In exchange, while they were working, we asked them to film what life was like on their farm for just a few minutes each day. Some had never owned a tractor. Others usually borrowed a tractor from a neighbor to use when needed, and some of them already had a few pieces of their own equipment. These are their stories about their experiences with using the tractor. Jeremy and Donna Bartlett, helped form Tavistock Hop Company three years ago and currently grow 6-acres of trellised and irrigated hops. It may not sound like much, but there are only about 250 total acres of hops currently grown in Canada and it’s a stark contrast from the more traditional crops that are grown around their farm. 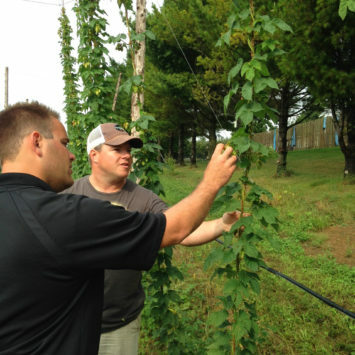 Successfully growing high-quality hops requires diligent management and care. So, throughout the growing season, it’s all-hands-on-deck to help weed, train and tie up the hops, harvest the crop, and maintain the yard. Off the farm, Jeremy works as a paramedic, and Donna works as dental assistant. The Bartlett children keep busy attending school, running in cross country meets, and participating in other activities so time management for the family is a constant struggle. Take a Closer Look at Tavistock Hop Co. This part-time grower sees big-time potential for Canadian-grown hops. Hops must be closely monitored during the growing season as they are highly susceptible to disease and pests. 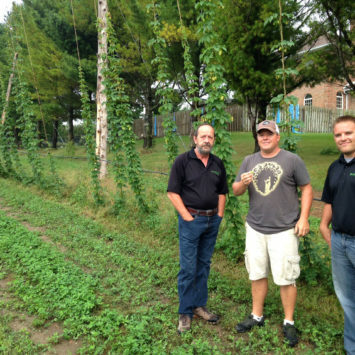 Tavistock Hop Company was formed three years ago. Donna Bartlett works as a dental assistant and helps with hops management on the farm. 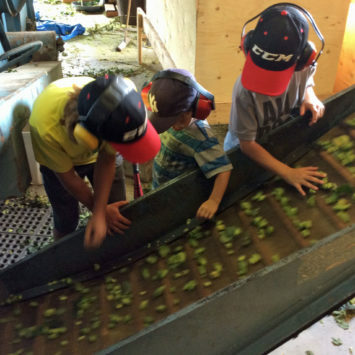 Even the kids chip in to help with hop chores. 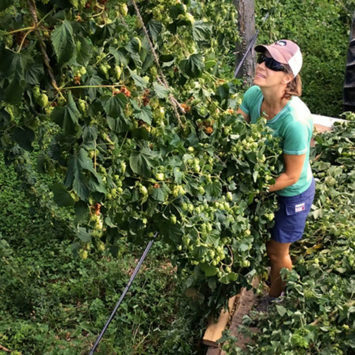 Splitting time between off-farm work, family, and the hops farm is a never-ending challenge for the Bartletts.